With Excel, you can achieve high efficiency with little effort. However, before you start working with the application, it’s good to know such basic things as the difference between a worksheet and a workbook. A worksheet is a place where you can insert data, tables, charts, etc. In Excel 2013 a worksheet can contain up to 1 048 576 rows and 16 384 columns, which gives 17 billion cells. You can compare a workbook in Excel to the one you can find in the real world. It is a place where you can store your worksheets. An Excel workbook is a file that contains at least one visible worksheet. In earlier versions of Excel, when you created a new file, the default workbook consisted of three worksheets. 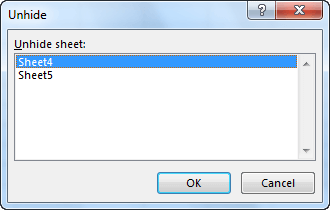 In Excel 2013 there is, by default, only one worksheet. Each additional, you have to add by clicking the plus icon, which is located to the right of the worksheet tab. When you start creating additional tabs inside your workbook, you will notice that their default names and arrangement are not very intuitive. For that reason, you may want to make some modifications. Excel gives you that option. You can freely manipulate their names and location. Below, you will find the list of operations that you can perform with Excel worksheets. When you create a blank workbook, you will, by default, receive one sheet. If you want to add more sheets you can do it by clicking the plus button, which is located on the right side of the tabs. Another way to add a new worksheet is to use the button in the ribbon. You can find it in HOME >> Cells >> Insert >> Insert Sheet. The difference between these two methods is that in the first one a worksheet is added to the right side of the active sheet, while in the second one to the left side. Removing sheets is as easy as adding them, just right-click its tab and choose Delete. You can also go to HOME >> Cells >> Delete >> Delete Sheet. 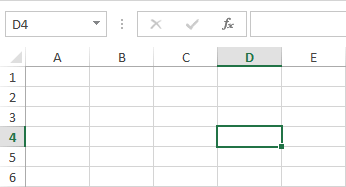 If Excel finds that there is some data in the worksheet, it will display a message informing you that you won’t be able to restore it after you click the delete button. You can navigate between worksheets in two ways. One of them is to click the tab of the sheet and the second one is to use Ctrl + PgUp and Ctrl + PgDn keyboard shortcuts. To change the position of the worksheet, first, click (without releasing the mouse button) one of the tabs and then move it to the different location. Notice that when you drag a tab, a small black triangle appears between two other tabs. It is showing you the location where the worksheet will be placed after you release the button. To hide the worksheet, right-click the sheet tab, then select Hide. If you want to show the hidden sheets, right-click any of the tabs and select Unhide. The window with a list of hidden sheets will appear. Choose which one you want to unhide and click OK.
You can unhide only one worksheet at a time. Standard names that Excel assigns to worksheets are Sheet1, Sheet2, Sheet3, …. They are not very helpful when it comes to identifying their content. They become even less useful when you start adding more sheets, as their numbering does not necessarily reflect their position. To change the name of the worksheet, right-click the tab and from the contextual menu select Rename. You can also do this by double-clicking the worksheet tab. Worksheet name then becomes editable. If you try to enter the name “History”, a window with a warning message will inform you that this name is reserved for Excel. Excel worksheet consists of columns (A to XFD) and rows (1 to 1 048 576). They form a grid that divides a worksheet into cells. Each cell has a unique address that is made of the column and row in which it is located. At one time, only one cell can be active- the one that takes the characters from the keyboard. The active cell is in column D and row 4. It means that the address of the cell is D4 (it is shown in the upper left corner of the picture in the Name Box). In Excel 2013, you can navigate through the worksheet not only with the mouse but also with the keyboard (and by touch on mobile devices). To activate any cell, just click it. If the cell you want to activate is not visible on the screen, you can use the sliders to access it. You will find the slider (which let you scroll the page vertically) on the right side of the screen, and the other one (to scroll it horizontally) on the bottom right side. Additionally, you can scroll the worksheet vertically using the wheel on your mouse. You can also navigate using the keyboard shortcuts. ↑ / Shift + Enter – move one position up. ↓ / Enter – move one position down. ← / Shift + Tab – move one position to the left. → / Tab – move one position to the right. Ctrl + Enter – stay in the cell. Ctrl + ← / Ctrl + → – move to the first/last element of the group of cells in the row. If you are in the last cell of the last group and you use the Ctrl + → keyboard shortcut, it will move the active cell to the last element in the row (XFD). Ctrl + ↑ / Ctrl + ↓ – move to the top/bottom element of the group of cells in the column. If you are in the last cell of the last group and you use the Ctrl + ↓ keyboard shortcut, it will move the active cell to the last cell in the column (1 048 576). PgUp / PgDn – go one screen up / down. Alt + PgUp / Alt + PgDn – go one screen to the left / right. Ctrl + Backspace – If the active cell is not visible, it moves the screen to show that cell. Scroll Lock + Cursors – screen moves one step in the selected direction. At the same time, the position of the active cell doesn’t change.